text := mü-nest x PLOP special collaboration series vol. 3: "Sonorité" by Teruyuki Nobuchika. 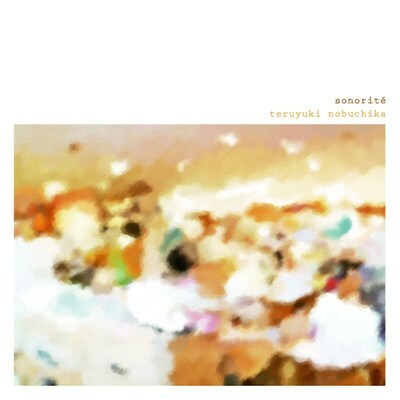 “Sonorité” is the talented Kyoto-based film composer Teruyuki Nobuchika's latest work – his long-awaited 2nd solo album after the critically acclaimed debut album “Morceau” (Schole label, 2009). Having composed so many cinematic scores for films and television drama series, Nobuchika decided to adopt a fresh approach in his 2nd solo album – to explore the possibilities of the piano. Using piano as the only instrument, Nobuchika beautifully crafted his signature melodies and sounds that magically transformed the moments of everyday life into scenes as if there were taken from a movie – they are simple, but yet rich, beautiful and undoubtedly breathtaking. “Sonorité” is a classical and yet contemporary piano suite by Nobuchika that will surely makes one tremble with delicate emotion. Its subtle emotional sounds closely resembling wonderful works by peer pianist like Goldmund, Johann Johannsson, Hauschka, and Akira Kosemura, This long awaited original production is the 3rd co-release from mü-nest (Malaysia) and PLOP (Japan), following the wonderful albums from me:mo and Kyo Ichinose.